All five slabs forming the monument were painted on the interior sides using a true fresco technique. The paintings on the four walls depict a symposium scene, while the cover slab shows the famous scene that gives the tomb its name: a young man diving into a curling and waving stream of water. 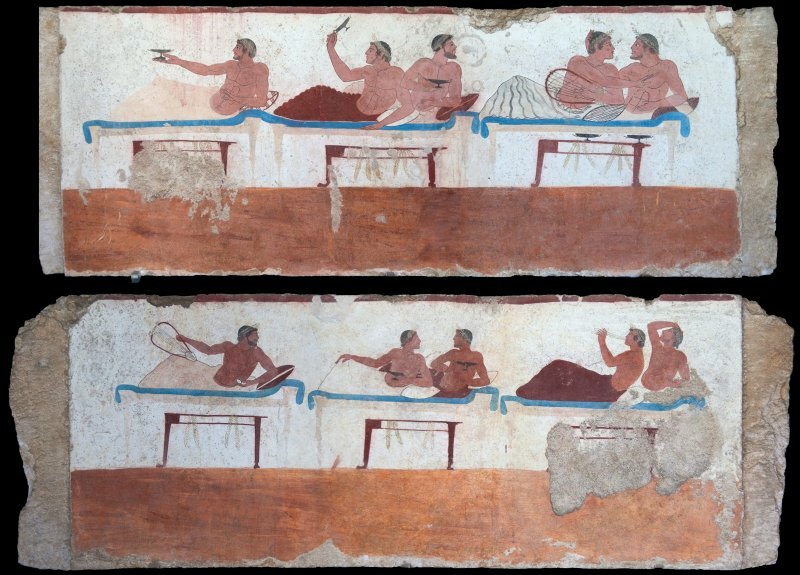 Among the thousands of Greek tombs known from this time (roughly 700–400 BC), this is the only one to have been decorated with frescoes of human subjects. In this photo: north wall and south wall of the tomb.